A wise old man once said, "Random best comes in threes". True story, somewhat. Taking this video actually took some time! The girl in the back seat actually has several animations that appear at random. Had to wait a few minutes to actually watch her picking animation. It looks like it was a pick, followed by her flicking the offensive material and then wiping the leftovers on the seat. A double offensive! So what do you think? Was it a pick or a scratch? This next video makes a lot of sense at any hour of the day. I've personally tried the swing set escape and let me tell you, it only looks hard! 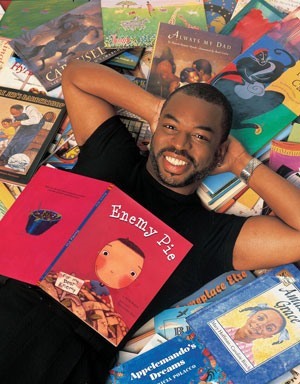 Random Bonus: Reading Rainbow ran for 23 freaking years ('83-'06). News: Irwin keyes and Bonnie Aarons go nose-to-nose.